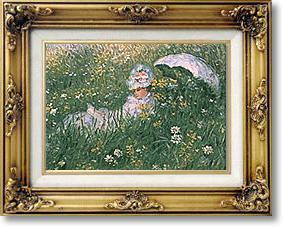 Dans La Prairie by Claude Monet - no-risk guarantee! Whilst not one of his most famous paintings, this is certainly one of the most popular with our customers. A beautiful example of how Monet was able to use the different shades of nature's whole spectrum of colours to make the simplest scenes come alive on canvas.